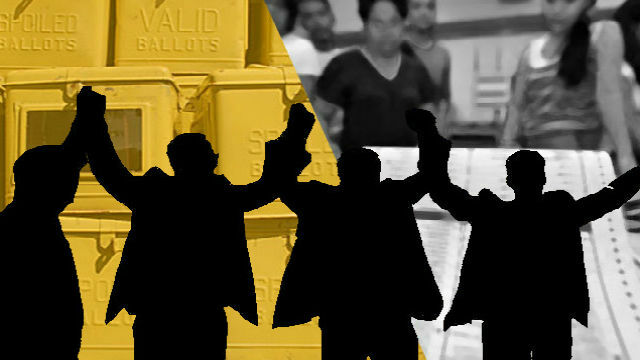 TABUK CITY, Kalinga – Re-electionist Rep. Allen Jesse C. Mangaoang urged the provincial and regional offices of the Civil Service Commission (CSC) to thoroughly investigate reports on the alleged use of government employees by some aspirants for higher positions to reportedly buy votes in the various parts of the province for the May 13, 2019 mid-term elections. Mangaoang, who is also serving as the caretaker congressman of Mountain Province, said the CSC must already step into the said issue so that such illegal involvement of government workers in the political arena is averted soonest. “We want concerned government agencies to look into the reported rampant vote-buying activities of some local officials in the province because it is alarming that employees of a local government unit who are being used by their aspirant benefactor to advance his own personal and political interest thereby depriving the province’s electorate the free will to select their leaders in the coming election,” Mangaoang stressed. The lawmaker pointed out the CSC earlier issued directives ordering government officials and employees to strictly refrain from involvement in the political activities of politicians in their places, thus, the issue on vote-buying in Kalinga must be given utmost attention the soonest to ensure the right choice of the people will emerge victorious and be proclaimed the winners in the upcoming elections. Further, Mangaoang also requested the CSC to include in their investigation the use of some employees of a local government by their appointing authority to work on his private business, specifically the management and operation of his farm, where some were engaged in a shootout causing the death of a permanent government worker in the incident allegedly perpetrated by a job order employee. According to him, it will be unfair to those politicians like him who strictly comply with civil service and election laws if the said questionable activities of some aspirants for elected positions in the province are tolerated by the concerned government agencies in charge of ensuring honest, orderly and peaceful elections in the different parts of the country. Mangaoang expressed his concern on innocent officials and employees who are being used by some local officials to advance their own personal and political interests because they fear that their jobs will be at stake if they do not comply with the marching orders of their bosses. He disclosed that some department heads, assistant department heads, chiefs of offices and even rank and file employees are being allegedly compelled to perform illegal election-related duties and responsibilities in gross violation of existing civil service and election laws which punishes the involvement of such individuals.